Ah, the world of wedding dress shopping. Read up on different necklines, veil lengths, and silhouettes to make your wedding gown shopping a little easier. 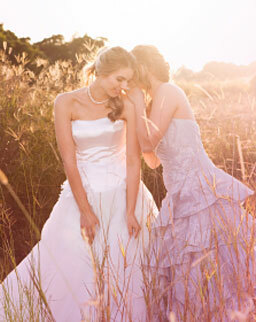 Discover useful information to help you find the perfect wedding dress! Know what you’re buying. Read up on the definitions of wedding veil styles before you go shopping for your wedding veil. Wedding dresses come in many different silhouettes. Learn to pick the right wedding dress silhouette for your body type. Are you petite and searching for your perfect wedding dress? Before you go shopping, read our petite wedding dress tips for your body type. Find that beautiful wedding dress to show off your best assets! Read our wedding dress guidelines that are specific to your body type. Before you go wedding dress shopping for your hour glass figure, read these handy wedding dress tips that are catered for your body. The perfect wedding dress is waiting for you. Read our handy wedding dress guidelines for your body type. Broader shoulders, narrower hips define your body type. Find the ideal wedding dress for your body type using our wedding dress tips. You’re a full figured woman and loving every minute of it. Find the best wedding dress for you with these handy guidelines.